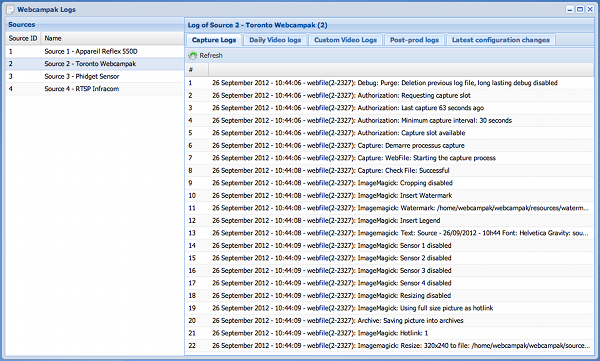 To ease debugging, Webcampak record a large set of logs during its operation. Last configuration changes: all configuration changes made to the source since the beginning. We strongly advise you to read logs whenever an issu appears or simply to ensure that everything is running smoothly.